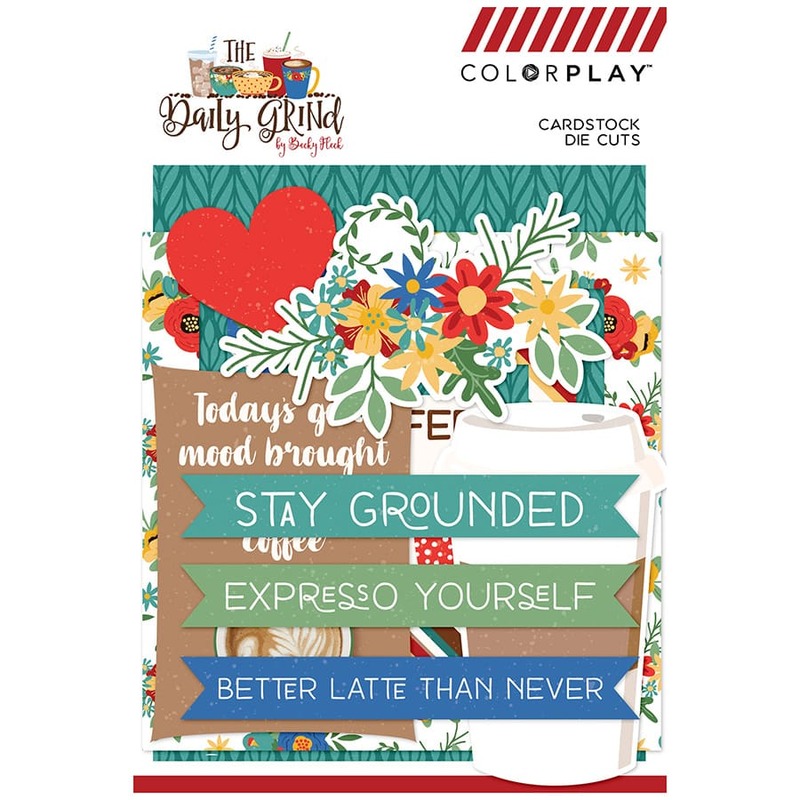 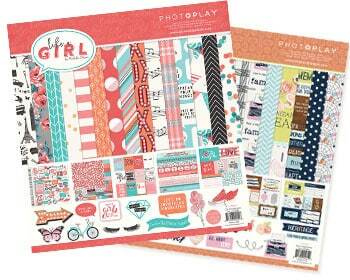 The Daily Grind - Photo Play Paper Co. 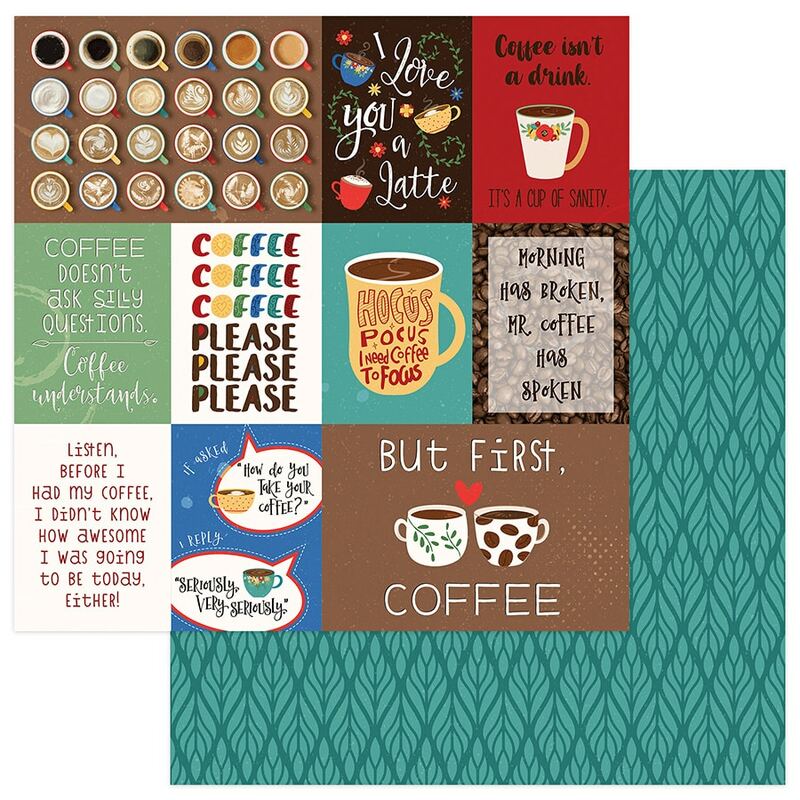 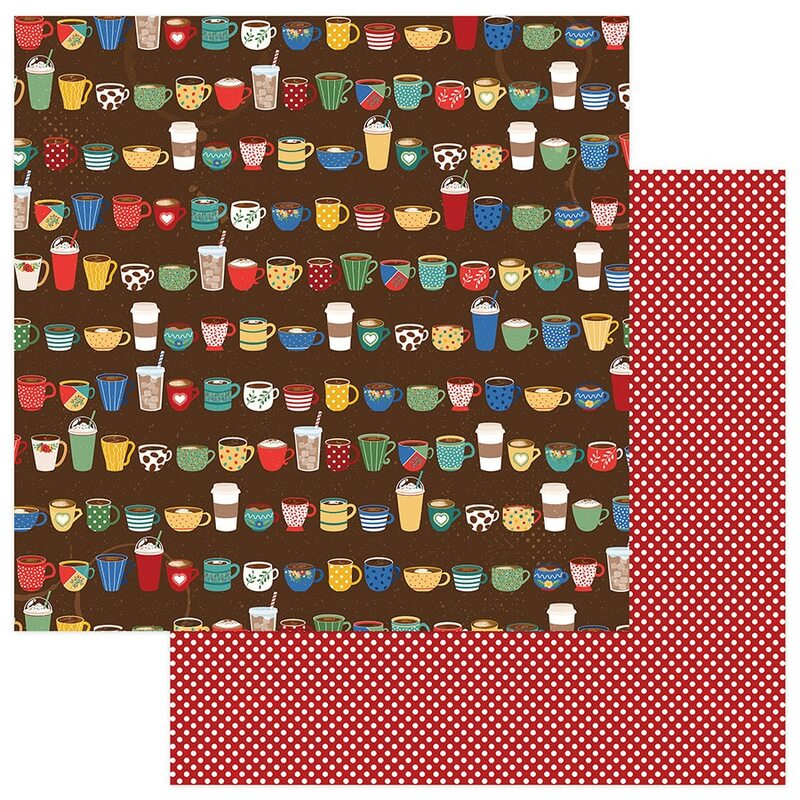 Calling all coffee lovers—this collection is for you! 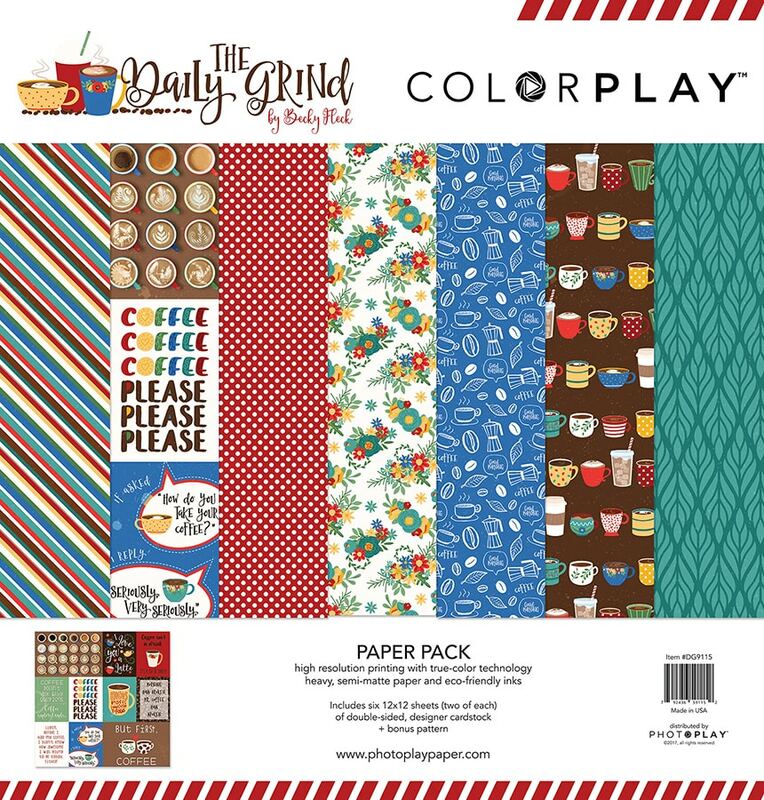 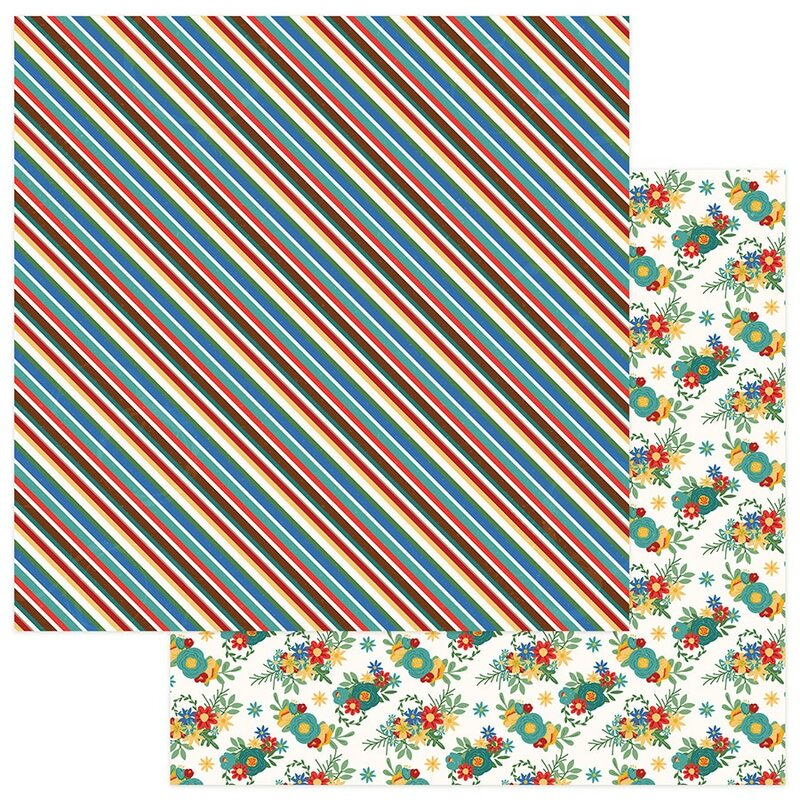 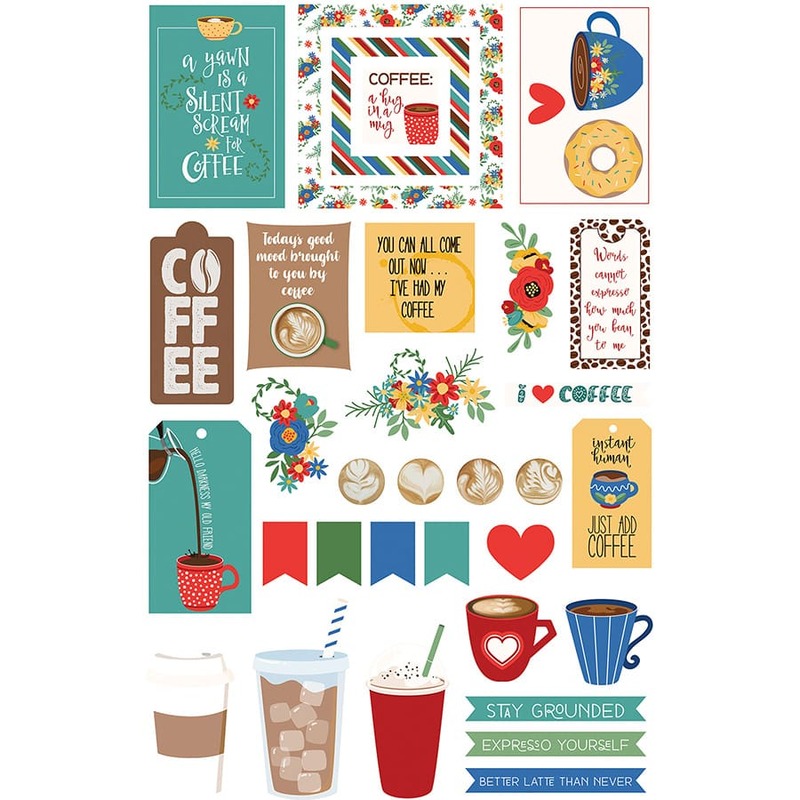 Brewed in a rich palette of creamy browns and deep expresso, a bright punch of red, blue, green and yellow hues highlight the papers and die cuts. 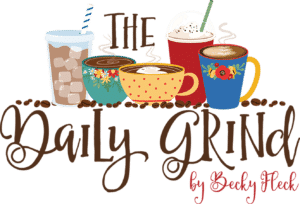 Your pages will “perk” with The Daily Grind!